London extend their top-of-the-table lead in close victory over Leicester. 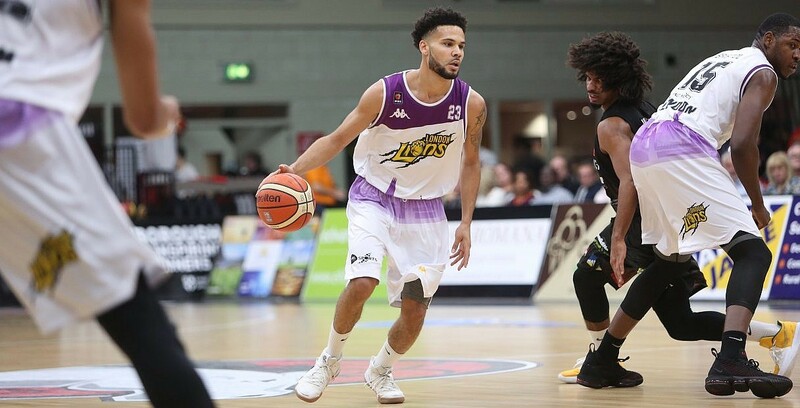 London Lions extended their lead at the top of the BBL Championship after handing Leicester Riders their first loss in the BBL this season. Vince Macaulay’s side move to 7-1 with Leicester now 2-1 ahead of a trip to London City Royals on Saturday. Turning point – Lions led by as many as 14 in the first half before the Riders battled back and they took the lead in the fourth. However, a 7-0 run restored the visitors’ control and they closed out the game from the foul line. Key stat – Riders were red-hot from 3-point range with 15 threes made at 53% and kept the Lions to 39% from the floor, however the visitors had 20 second chance points compared to 2. Game hero(es) – Robinson top scored for the Lions with 22 points in the win and held his nerve along with Jordan Spencer with free throws down the stretch, while Peel added 19 points and nine rebounds.